Business liability insurance protects your small business in the event of a lawsuit for personal injury or property damages. It will usually cover the damages from a lawsuit along with the legal costs. 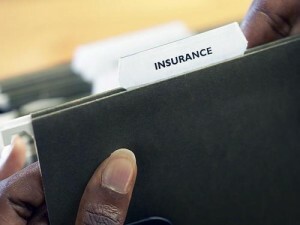 Depending on your business needs, liability insurance can purchased in many forms. General Liability Insurance: This form of business liability insurance is the main coverage to protect your business from: injury claims, property damages, and advertising claims. General liability insurance also known as Commercial General Liability (CGL) may be the only type of business liability insurance you need depending on your business situation. Professional Liability Insurance: Business owners providing services will need to consider having professional liability insurance known as errors and omissions. This coverage protects your business against malpractice, errors, negligence and omissions. Depending on your profession, it may be a legal requirement to carry such a policy. Doctors require coverage to practice in certain states. Technology consultants often need coverage in independent contractor work arrangements. Product Liability Insurance: Small businesses selling or manufacturing products should be protected in the event of a person becoming injured as a result of using the product. The amount of coverage and the level of risk depends on your business type. A retailer of scrap book supplies will have far less risks than a wood stove builder.